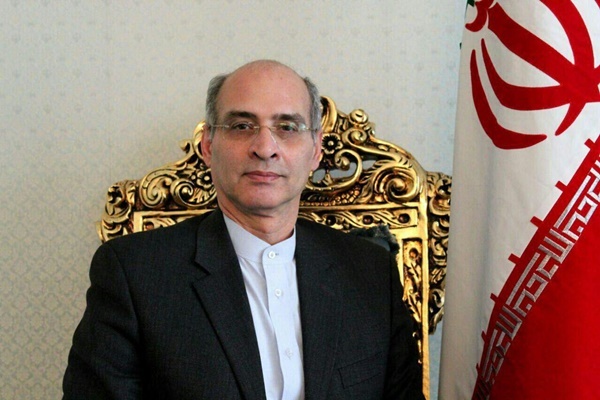 Alireza Kazemi Abadi has been appointed as Iran’s new ambassador to the Netherlands, and recently started his mission in the European country. The diplomat was nominated by Foreign Minister Mohammad Javad Zarif, and was endorsed for the position by President Hassan Rouhani. Kazemi Abadi earlier served as the acting chair of the Iranian Foreign Ministry’s Department for the Iran nuclear deal (JCPOA), the deputy minister of justice for intellectual property and international affairs, and at the Iranian Foreign Ministry’s Directorate-General for International Legal Affairs. Relations between Tehran and Amsterdam have soured in the past few years following the European country’s expulsion of two Iranian diplomats in June 2018, and Tehran’s reciprocal measure in February 2019. Following Iran’s expulsion of two Dutch diplomats, the Netherlands summoned its ambassador to Tehran to hold consultations, and summoned the Iranian ambassador, describing the act as “unacceptable” and “having negative consequences” for bilateral relations. On January 8, 2019, the Netherlands’ foreign and interior ministers wrote a letter to the parliament accusing Iran of murdering Mohammad Reza Samadi Kolahi. The Dutch foreign ministry had earlier in June expelled the two Iranian diplomats. Kolahi was the agent behind the blast at the central building of the Islamic Republic of Iran Party on June 28, 1981. In that explosion, more than 70 senior officials of the Islamic Republic of Iran were killed. Dutch court records show that Kolahi was killed by members of a criminal gang in 2015. Claims of Iran’s involvement in the incident come as the Dutch prosecutor explicitly stated in the course of the trial that there was no evidence of Iran’s complicity in the murder.